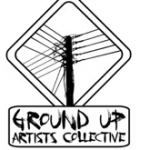 The Ground Up Artists’ Collective is a support and resource organisation for a range of individual artistic practices, some of which operate autonomously while others engage in collaborative productions. Some of the most important issues of our time are being played out in rural areas. The artists of the Ground Up Artists’ Collective recognise this, and through our individual practices we address some of these complex matters. Land based explorations and excavations, The Geological and Biological. Quantum Physics and the interiority of DNA. Potentials, Nature and the Somatic. Social architecture, Sacred spaces, Language and Connectivity. For the most part the artists are based in rural Clare in the west of Ireland. Our aspiration is that the Ground Up Artists’ Collective will extend its reach outwards, nationally and internationally, in the next few years. As the Ground Up Artists’ Collective (GUAC) enters its second decade, I am afforded this opportunity to reflect on matters brought to light by its continued existence. It seems important to attend to the collective impulse that sustains GUAC and to consider some of the things that collectivity makes possible at this challenging moment of human history. A commitment to the concept and experience of dwelling has been cited by a number of the artists in the collective for whom emplacement is a political and poetic strategy to address forms of social and environmental alienation; this is something I would like to consider. I will also reflect on aesthetics as a form of praxis for the current moment. The urge to come together and pool resources is as old as humanity itself. We are social beings, hardwired to work in cooperation with one another, inclined to be sociable, keen to play together and to produce and negotiate the collective meanings that we know as culture. The sense that we make of our individual lives is never made in isolation, but always in relation to the lives of others. The current political and financial situation is having corrosive effects on the social bond; that is well documented. Complex social relations have been restructured as consumer interactions. A prevailing ideology of competitiveness impacts negatively on the psychology and sensibility of many, many people. The need to seek ‘advantage’ over others in order to get ahead discourages openness and generosity, distorting the free exchange of vital knowledge and information. Writing about this situation Franco ‘Bifo’ Berardi has reflected upon the urgent need to re-establish social empathy and solidarity as a prerequisite for sustainable forms of being-in-commoni. In the absence of a coherent politics of solidarity the task falls more and more to those operating in the field of culture, the visual arts in particular. For all its limitations, art remains a space of experimentation where unlikely things can still be made visible. Although its forms of action may be symbolic we should not underestimate art’s power to generate new forms of representation; in fact, a capacity to produce counter-representations is a valuable form of resistance to the ideologies disseminated through the all-pervasive mediascape. In this context, the Ground Up Artists’ Collective is in itself a representation. Its continuing existence is both recognition and assertion of the principle of mutuality. Many of the artists who are currently involved in the collective refer to the importance of non-competitive sharing and support, to the value of dialogue and critical conversation, to the exchange of information and ideas. The artist members work independently of one another and occasionally on small collaborative projects, but it is not the outputs of the Ground Up Artists’ Collective that are co-produced so much as the process of organising and reflecting on what it means to produce art in response to rural situations. A significant portion of contemporary theory exploring situational art practice emphasises the displacement and mobility of the contemporary artist.ii Distance is made to seem more critical than proximity, temporary association seems to be valued above long-term connection. The possibility of dwelling as a critical relationship to the contemporary world is, at best, under-theorised. This is especially true in relation to rural places. The bourgeois aesthetics of the rural landscape, being the result of sight-seeing, short stays, and purchasing power, creates a quite different kind of space from year-round farming practices and activities: stepping, touching, digging, hitting, carrying, swinging, tearing, pulling, pushing, toeing, breaking, killing, slaughteringiii. In his essay The Eye and the Hand: Professional Sensitivity and the Idea of an Aesthetics of Work on the Land, Justin Winkler attempts to conceptualize what he describes as the ‘mute aesthetics of rural people’iv. For those people whose working hands shape the land Winkler proposes an ‘aesthetics of proximity’, suggesting other ways of knowing and deriving pleasure from the land, in contrast to the aesthetics of distance referred to above. The business of working the land entails an active and consistent sensory engagement with its emergent characteristics, in order to recognise and understand what is taking place. Where the distanced ‘viewer’ sees empty fields, the one who works the land recognises complex unfolding processes involving multiple species and forms of life. Many of the artists working in the GUAC operate in proximity to, rather than at a distance from, the complex processes of rural existence, engaging critically with the overlaps and interactions between social realities and ecosystems. While ecological thinking has largely passed out of fashion, life in rural contexts continues to be politically entangled with environmental matters. There are many artistic practices around the globe that demonstrate concern and involvement with particular situations or places over extended periods of time. These practices understand that ‘here’ is the very place where social, political, economic and environmental contradictions can be perceived and addressed. Locality in this sense is a temporal-spatial condition existing within a dialectics of emplacement and displacement. By grappling with the particularities and contradictions of how and where people actually live, including an awareness of who or what are not present locally, many of these practices generate conditions in which critical, political actions can occur. Having spoken about the power of representation I must also refer to its limitations. Representation involves a number of aesthetic operations – selection, editing, framing, choreography – that exclude and render invisible as much as they present and reveal. Representation at its best condenses and amplifies aspects of reality, but there is no getting away from the fact that it is a reductive process. In this context, the proliferation of dialogical and archival practices in contemporary art may be understood as counter-reductive strategies. Likewise, the impulse to intervene in a situation, to engage bodily, emotionally and conceptually with a particular place over time is a way of committing to a complexity that defies representation. Many of the artists in GUAC work this way, combining actions, dialogue and representations in ways that are neither reductive nor easily commodified. Aesthetics, like play, begins as an encounter with the sensuous particularity of the material world; it is an embodied practice based on inherent capacities of the human. It can also be understood as a fluid set of operations and interactions in which faculties of perception, affect and cognition are triggered and combined to produce moments of attention, awareness and unregulated pleasure in people. This makes it a powerful tool, one that can be harnessed for the dissemination of ideology or alternatively for the generation of episodes of critical solidarity. 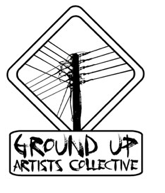 The Ground Up Artists’ Collective has developed as a form of agency through which such vital episodes might be produced and, as it faces ambitiously into its second decade, it presents an inspiring model of just how transformative collective intelligence can be. ii See for example writings by Claire Bishop and Miwon Kwon.